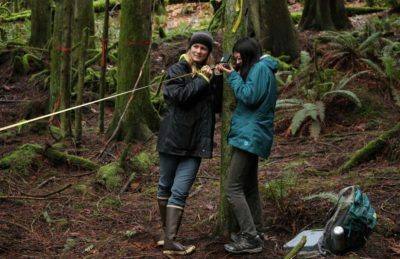 Author: Katie Kushneryk, undergraduate student in UVic’s School of Environmental Studies Last autumn, in November 2016, I had the opportunity to participate in ES 470 Advanced Field Study: Community and Regional Coastal-Marine Conservation. 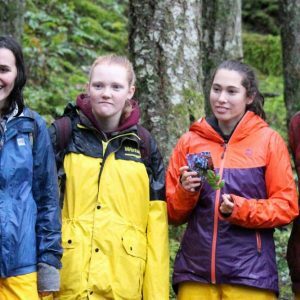 As an undergraduate student at the University of Victoria pursuing a double major in Environmental Studies and Marine Biology, this field course was an invaluable part of my education. Not only was I connected with a multitude of people who are actively working towards marine conservation and ecology-oriented goals, but I had the chance to experience firsthand what careers in this area entail. There were several aspects of the field study that had a long-lasting impact on my personal growth and career skills development. One of these involved meeting with an outdoor education class and teacher on Saturna Island. 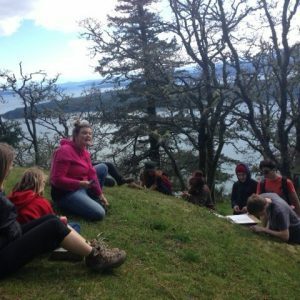 Environmental and outdoor education has always been one of my passions, and is something I pursue on a volunteer level by acting as a public educator at the Gorge Waterway Nature House in Esquimalt. Meeting with this group provided me with a clear picture of what it means to be an outdoor educator, and the impact I could have on others through a position such as this. When I spoke with the teacher, she told me about the path she took to get to her position, and I was able to gain insight about how to end up in a similar position in the future. The public presentations that my classmates and I gave on Saturna Island also provided me with valuable skills for public education, as I was able to gain more confidence and experience with presenting in a captivating manner in front of an audience. This is a valuable skill not only for interpretation and public outreach work, which I would like to be more involved with in a career, but also for succeeding in job interviews and effectively communicating with co-workers. This position exposed me to a wide diversity of work involving outreach, restoration, time spent in the field, and report writing. 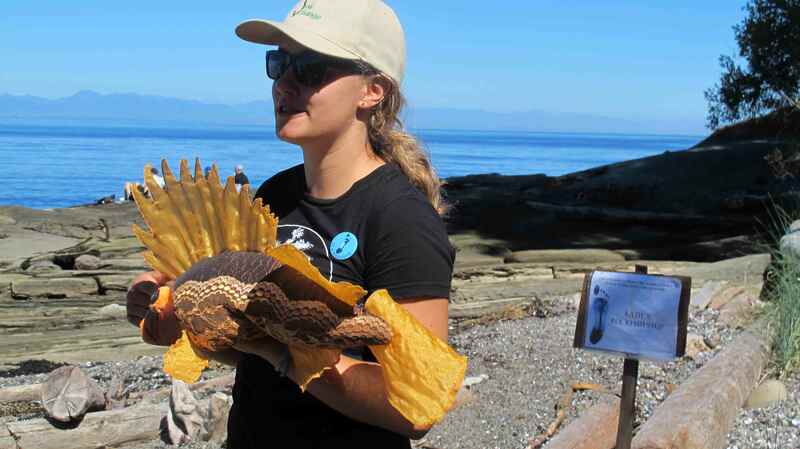 During the summer of 2017, I worked as a rockfish conservation research assistant on Galiano Island under the supervision of my ES 470 professor, Dr. Natalie Ban and Jenna Falk, Development Coordinator at the Galiano Conservancy Association (GCA). After the field course, Dr. Ban had reached out to the course participants and informed us of this opportunity to work on a joint rockfish conservation project with the University of Victoria and the GCA. During ES 470, I spent a day participating in restoration work with the GCA at the Millard Learning Centre, which meant I was already familiar with the organization and the type of work they were involved in. 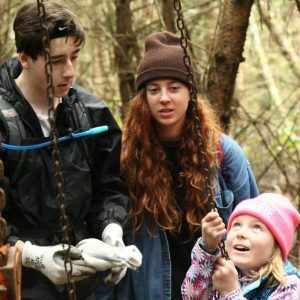 I jumped at the chance to spend the summer living on Galiano and working with a local land trust. Part of my summer job was to interview members of the public and gather information on Rockfish Conservation Areas (RCAs). 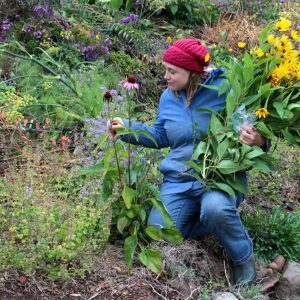 I had already become comfortable with this practice through the field study when we interviewed members of the public on Saltspring Island for our own individual research projects. 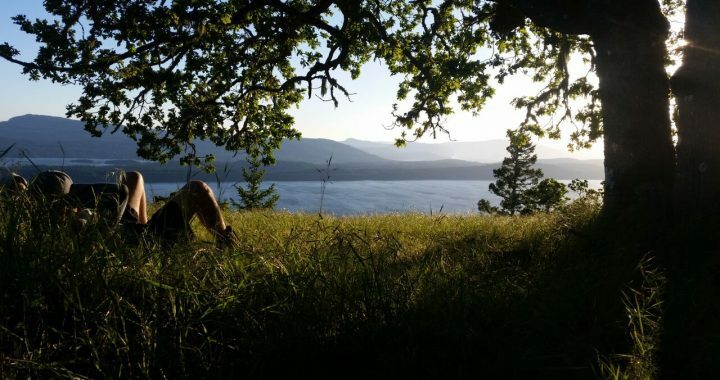 Another aspect of my job was to set up and monitor trail cameras at various RCAs around Galiano Island. This was for monitoring fishing activities to hep researchers get a better idea of the different impacts on rockfish populations around the island. I also was able to drive a scientific dive research vessel in RCAs. This was my first exposure to field work in a biology/environmental studies setting, which is something that I have always wanted. 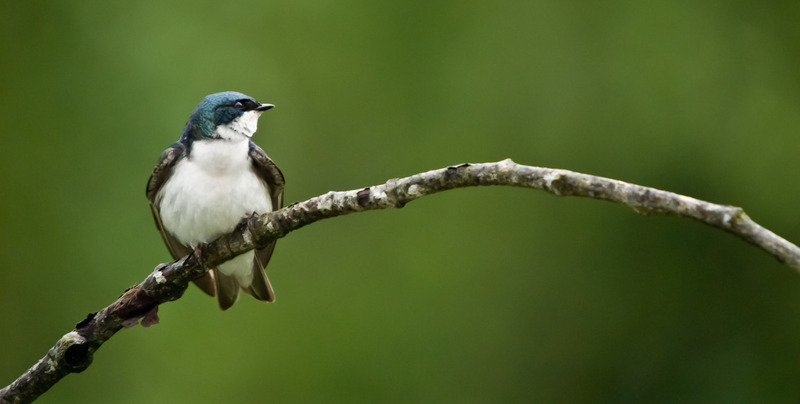 After this placement, I have discovered I have a passion for field work, and plan on participating in numerous field work projects as my career advances. Links: Marine Ethnoecology Research Group and ES470 Course Information More info on collaborative rockfish conservation program Does Katie’s summer research job appeal to you? Give the Conservancy a call or email to learn more. Funding dependent, we hope to hire a student for May-August 2018 to continue this exciting work.